Courtesy of State Agency Database Highlights, here's a useful site to check before you travel around Florida. The Florida Department of Business and Professional Regulation has a database of Florida food and lodging inspection records that is searchable by name, license number, and city or county. The Vietnam Veterans' Memorial Wall is now available in an online, interactive version created by Footnote.com and that National Archives. The online version was assembled from 6300 photos of the Wall, and includes 58,320 searchable names linked to each veteran's service record. Visitors may add photos and tributes. The image that makes up the online wall is about 460 feet wide and measures 400,000 pixels wide by 12,500 pixels tall, making it the largest image of its kind, according to Wired. I encountered a lot of glitches while trying to explore the online Wall, likely due to the fact that it is just debuting this week and heavy traffic is expected. Hopefully they will be fixed soon. If you're a law student who uses a Mac, the Mac Law Students blog, written by 11 Mac-using law students from around the world, is a resource you may find useful. The most recent post there reviews eight Mac web browsers, paying particular attention to how they affect certain features in Lexis-Nexis and Westlaw. Other recent posts include the iPhone's future for law students and lawyers; news about the California bar allowing use of Macs; advice on fixing a wi-fi connectivity glitch in a recent Leopard update;and reviews of applications for creating clippings files and visual timelines. Many frugality websites include books, along with CDs and DVDs, among the items that you should avoid buying new. If you'd like to put that advice into practice, be sure to mark your calendar for the semi-annual NSU Alvin Sherman Library Used Book Sale. With non-fiction, fiction, paperback, and hardcovers, there's sure to be something for everyone. If you don't find what you're looking for there, check out some of my favorite websites for finding good deals on books. It's often easy to find like-new copies at a discount. Greenbacks have been slowly expanding their color palette over the last several years. Starting tomorrow, the treasury will begin circulating $5 bills that feature a bold, purple 5. To see the new bills and learn about other forthcoming security and design changes to our bills, check out this AOL news article. Thanks to my friend Christine for the tip! 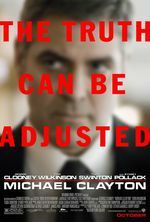 Frank Pasquale over at Concurring Opinions has published an interesting post analyzing what the film Michael Clayton says about the current status and public perception of the legal profession. The Law School Academic Support blog suggests catching the remake of A Raisin in the Sun starring Sean Combs aka Puff Daddy aka P. Diddy etc. for "a great example of how restrictive covenants impacted real families, and power of the law to change people lives." According to ABC's website, it airs Monday February 25 at 8pm eastern time. Figure out your body cycle. Ever find that you get really sleepy at 10 p.m., that the sleepiness passes, and that by the time the late news comes on, you're wide-awake?. . . .If you've noticed these kinds of rhythms in your own body clock, use them to your advantage. When sleepiness comes, get to bed. Otherwise, it might be a long time until you are ready to fall asleep again. Clean your bedroom and paint it a soothing sage green. Or some other soothing color. . . .The smooth, clean surfaces act as a balm to your brain, helping to smooth out your own worries and mental to-do lists. The soothing color provides a visual reminder of sleep, relaxing you as you lie in bed reading or preparing for sleep. Drink water before bed, not fruit juice. One study found it took participants an extra 20 to 30 minutes to fall asleep after drinking a cup of fruit juice, most likely because of the high sugar content in juice. 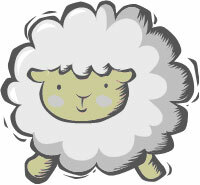 Spend 10 minutes journaling the day's events or feelings after tucking yourself into bed. This "data dump" will help turn off the repeating tape of our day that often plays in our minds, keeping us from falling asleep. If you have trouble falling asleep or trouble sleeping through the night, you're bound to find a tip or two that will help. Me? I'm going to stop the late night glass of orange juice! All-night study/writing sessions should generally be avoided, but if you must stay up till dawn, Lifehacker links to some tips for getting the most out of a sleepless night. Map Out Objectives Before Starting Work - a very GTD-ish notion, but worth pointing out. If it’s 8:00pm and you know you’ll be watching the sunrise from your desk, it’s best to plot out exactly what needs to be done on a sheet of paper and check things off as you complete them. You don’t want to have to count on your barely-functioning brain to tell you what to do next, especially after you’ve been at it for several hours. What foods will help boost your brain power and productivity while studying? Lifehack.org lists 20 suggested snacks including avocados, walnuts, olives, and dark chocolate. Yum! Snacks on the list that are permitted in the law library: water and green tea!